Over the weekend, Deftones performed at Rock In Rio fest in Las Vegas, NV. 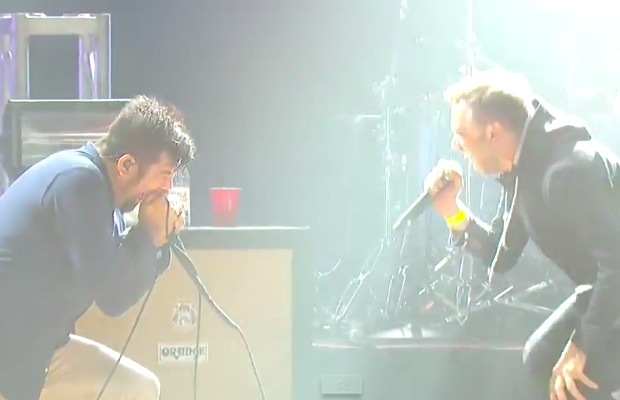 While no new material was debuted, Rise Against frontman Tim McIlrath joined the band onstage for “Passenger.” You can watch the nearly hour-long set below, with Tim coming in around the 46:42 mark. Deftones frontman Chino Moreno recently stopped by BBC's Radio 1 studio for an interview that touched on the band's long-awaited new album, which has a tentative release date of September 26.